A novel in which a translator escapes from the confines of the translator’s note to enter and interact with the text he is translating. At first glance, the plot of our August Asymptote Book Club selection is simple enough: we’re following the footnotes of an imaginary novel called Translator’s Revenge. 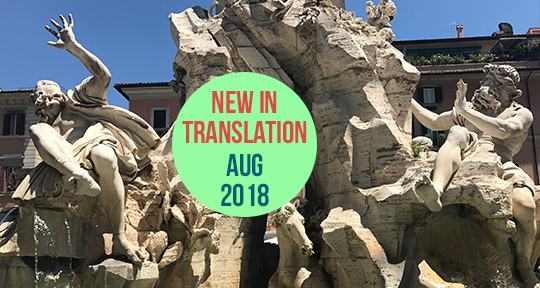 Translator’s Revenge is itself the story of a novel-in-translation, and our knowledge of the text is filtered through our narrator, Trad—a translator who feels that Translator’s Revenge is wholly inadequate and actively attempts to distort the original version. Add together those complex plot layers and you have Vengeance du traducteur, Brice Matthieussent’s perplexingly brilliant reconfiguration of translation theory. 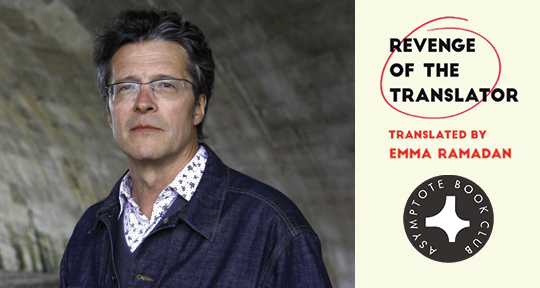 Add one further act of prestidigitation and you arrive at Emma Ramadan’s Revenge of the Translator, the English translation of Matthieussent’s prize-winning novel. Our latest selection, then, comprises at least four books in one. If you’d like to join us in unraveling the threads of the plot, read Mallory Truckenmiller’s review below and then head to our dedicated online discussion page. If you’re not yet an Asymptote Book Club subscriber, there’s still time to sign up for our September selection: all the information you need is available on our official Book Club site. I sold my mother the other day. 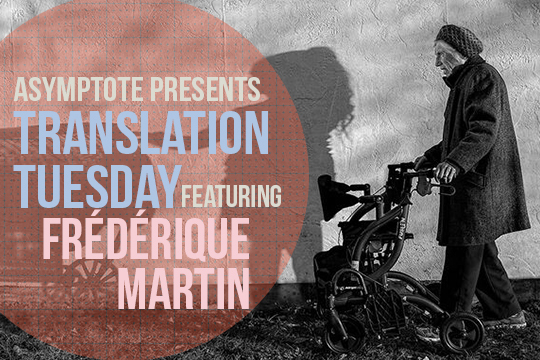 If Camus’ Meursault once shocked us with his emotional alienation, opening his novel with “Today, mother died,” Frédérique Martin’s unsentimental narrator takes it one step further in “The Despair of the Roses”: “I sold my mother the other day.” This Translation Tuesday, we present the brilliant fiction leading off our New Voices in French Literature Special Feature showcase in our latest issue. If you are a French reader, hop over to this article page for the French original and translator Hilary McGrath’s note, and consider following us at our newly launched French Facebook page! I sold my mother the other day. At the market in Saints-Sauveurs, the one that’s open to the public twice a year like in many large towns. I wanted to take care of the sale myself rather than handing her over to one of the merchants. They may know all the right things to say but they don’t always keep their word. Don’t think that I don’t love my mother. I said to her—I love you, Mum. Don’t ever forget that—but the day comes when you have to move on from your parents and let go of the apron strings. My father has been dead for some time so this question never arose with regard to him. She was gone by around three in the afternoon. You could hardly say they had to tear us apart. She’s not even that old and is still in excellent health. She wasn’t a burden on me either. It was more a question of weighing things up and finding a balance; when one stage in life comes to an end you need to move on. To leave your childhood behind you, selling your mother becomes a necessary step. I’m not the only one who believes this to be true but I know what some people think about it; they consider it a little too . . . radical. For the most part, they are hypocrites who end up putting their elderly relatives into retirement homes where death awaits them. 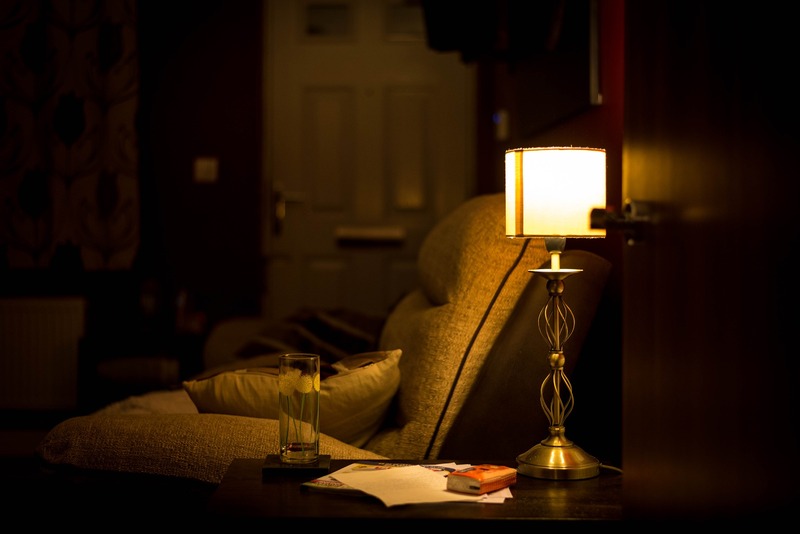 Some keep them at home but reduce their living space little by little and send them to bed earlier and earlier, knowing that the deadly boredom of the interminable days will grind them down. Some people probably still love them enough to relinquish a space for them, some corner, over there. And wait it out. I don’t want all that palaver in my house. My mother is affectionate and very active. That’s the memory I’ll always have of her. 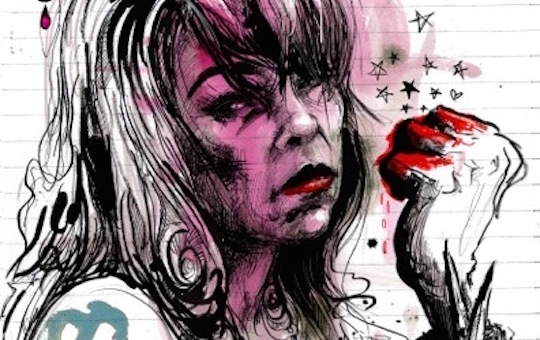 However, she did weave an invisible, sticky web around me that prevented me from growing up, my heartbeat stuck in a groove that wasn’t my own. 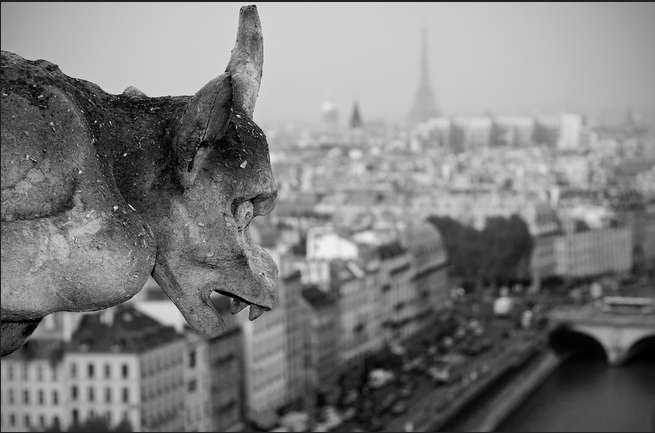 A profile of the extraordinary French writer that explores how he used experimentation and imagination to understand the horrors of reality. This article by the prodigious French writer Marie Darrieussecq appeared in Le Monde des Livres on May 11, 2017. The occasion was the publication of the two-volume La Pléiade edition of the Complete Works of Georges Perec, who died thirty-five years ago, in 1982. It is a huge honor for a writer’s work to be published (usually posthumously) in the Bibliothèque de la Pléiade, which is a critical edition, with annotations, notes, manuscript and editorial variations, and accompanying documents. The books are pocket format, leather bound, with gold lettering on the spine and printed on bible paper. The series was begun in 1931 by the editor Jacques Schiffrin and was brought into the Gallimard publishing company in 1936 by André Gide. 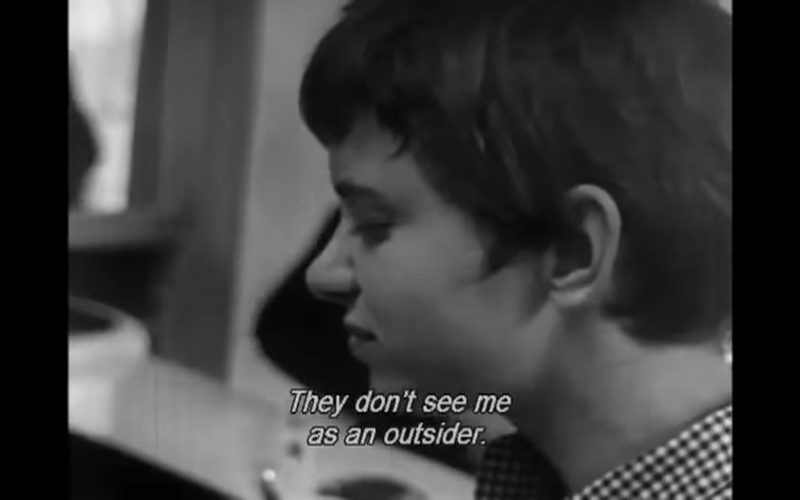 But Perec is unique. More than anyone else’s, his collected works resemble a UFO. 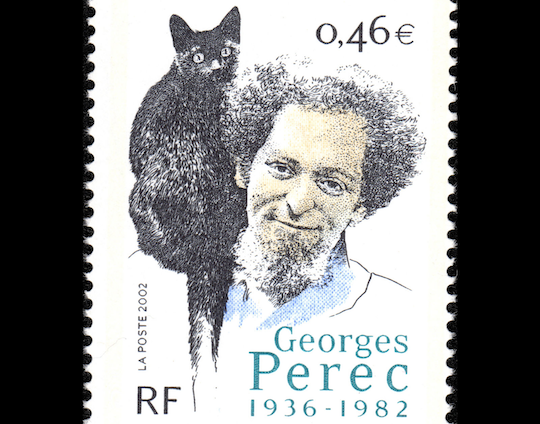 He is a successor to Jules Verne and Herman Melville, to Stendhal and Queneau, to Poe and Borges, to Rabelais and Mallarmé…And yet Perec stands alone, bearded, playful, coiffed with a cat in his hair, like an icon in our popular imagination. 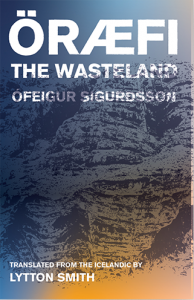 And, although a dizzying number of references are woven through his work, his way of writing is freakily inventive. His books were only intermittently successful in his lifetime, but after his premature death at the age of forty-six in 1982, his reputation grew exponentially. Perec quickly became the most recent of our classics. “A contemporary classic,” as the editor of this Pléiade edition of his Complete Works, Christelle Reggiani, writes in her preface, but an odd classic, both amusing and melancholic, whose humour shaped his despair. His lipograms, constrained writing (the speciality of Oulipo, of which he was without doubt the most famous member), play around an absent centre, a missing letter, or an alphabetical prison house. His novel, A Void (1969), written without the letter “e,” is therefore written without them: without his father, who was killed in the war, without his mother, who was murdered in Auschwitz. Happy Friday, Asymptote. We missed it last week, but here it is: friend of the blog (and source of a great deal of the roundup’s news), Michael A. Orthofer (of the Complete Review) is finally recognized as the meticulous literary heavyweight he is. Is the future now (or never)? Here’s what robots might learn from literature, according to the Guardian (harumph). And in Paris, France, the City of Light (and Egregious Museums) is set to open a “museum of digital reading” (harumph, indeed). In Iran, forty different media outlets have (allegedly) pooled money for British author Salman Rushdie’s fatwa, adding over six hundred thousand (!) pounds to the already-hefty sum. Meanwhile, here’s Rushdie on literature and politics—in his own words. The “Free the Word!” event at PEN International might be worth a gander for all this censorship. (Meanwhile, at the Eurovision song contest: is the Ukraine‘s submission an attack on Russia?). Every once in a while, the non-translation media makes a revelation we knew all along. This time, it’s what we can learn by comparing translations of the Bible (via an interview with Aviya Kushner, author of the absolutely awesome translation memoir, The Grammar of God). Speaking of non-translation (but translation-friendly) texts: Lispector translator Idra Novey’s first novel, Ways to Disappear, features a “disappearing translation superhero.” And the Armenian Weekly emphasizes the point: here’s why it’s important to translate (and re-translate!) the country’s most foundational texts. You may have caught the blog’s recent graphic novel in translation—here’s another kind of translation, namely that of culture shock and pictograms, by Chinese visual artist Yang Liu living in Berlin, Germany. "...it shouldn’t be that hard to write a genderless novel in English in the first person, but it’s really hard to translate one from French." If DJs are “the new rock stars” (Forbes, 2012), and if Emma Ramadan is correct—there did not exist, until now (2015), a genderless love story written in English—how can we trust in our vision as a supposedly contemporary, world-changing literary public after discovering that Anne Garréta’s debut novel was published thirty years ago? Garréta’s method and style allow her to pillage the French language generously, often playfully, and she makes it clear that society, self-prescriptive by nature, is begging to see itself outside of binary gender distinctions. 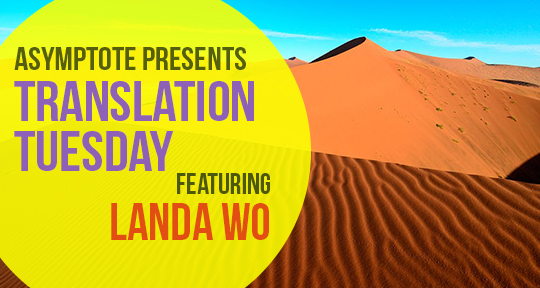 Ramadan’s translation has also given us the first full-length work by a female member of the Oulipo. The experimental French literary group is renowned for its exclusions—whole novels don’t include the letter “e,” extended texts employ only one vowel, poetry is written to be sliced up and reshuffled. It must be remembered, however, that Sphinx’s publication preceded Garréta’s invitation to join the Oulipo by more than a decade. Now, what does it mean to read the first English translation of such a novel, which teases out all our assumptions about identity, love, desire, relationships, with almost sacramental intensity? We can, at least, trust in the simple counsel of the novel’s translator, who (after Garréta) made our reading possible in the first place: “If our pre-conceived notions about all of these things are defied by this text, what does that say about our pre-conceived notions? Reading Sphinx is one way to think about these questions, to question our ways of thinking.” Whether in spite of or due to its preciousness, Sphinx serves to remind us that it is us who are still woefully behind the times. MB: First, I want to enquire about the context that instigated an English translation of Garréta’s novel now. 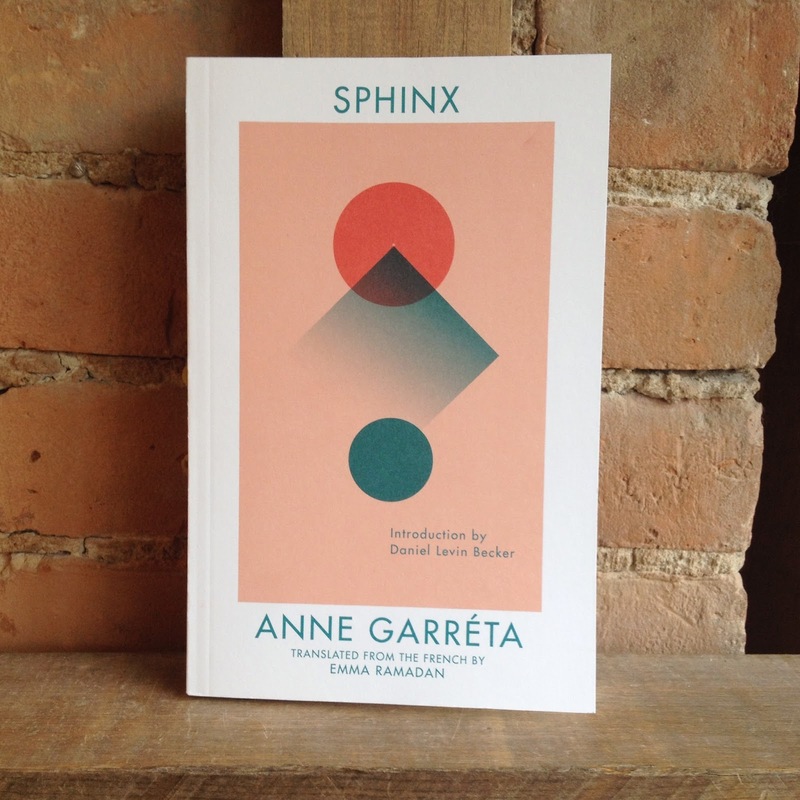 Sphinx was published in 1986—when Garréta was only 23 years old. What made the impetus for this translation—nearly thirty years later—so urgent? ER: Well, when I first found out about Sphinx, I heard about it in the context of Daniel Levin Becker. He wrote a book about Oulipians, and he briefly mentions Sphinx, and I assumed that it had already been translated. And then I went looking for the translation and I couldn’t find it, and when I realised it hadn’t been translated yet it just sort of seemed wild to me, you know, that no one had tried to translate this book. It was pretty wild to me that, despite the past, however many years going by since this book was published, it still feels very relevant, maybe more so now than then, because people are more interested in talking about gender and the way gender influences our lives, and influences our identities, the ways it kind of constricts us, and I feel now more so than in 1984—at least in the States. 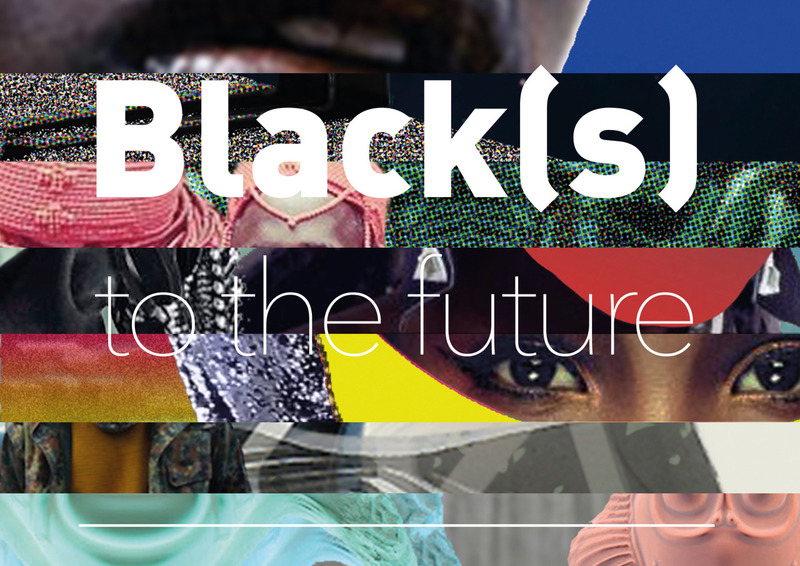 "Of course, Black(s) to the Future isn’t about achieving Black supremacy—but every bit about counteracting the pigeonholing of Black art." In 1941, Moïse Yehouessi was called to war. A young man from Benin, he’d studied at William Ponty, a military school housed in a old fortress about twenty miles east of Dakar, in Senegal. Yehouessi fought on France’s side against the Axis powers in World War II. After the war, he immigrated to France, swayed by the propaganda promise of affirmative reception within France. "They will wear the product and talk about it (and to it) incessantly. They will buy another one next year." Black Friday is not only a chaotic holiday for shoppers, but it is also an extremely exciting time for those in the media to represent the spectacle of this chaos to the public. The public then consumes this content at face-value, continuing the chaos online and in their homes. 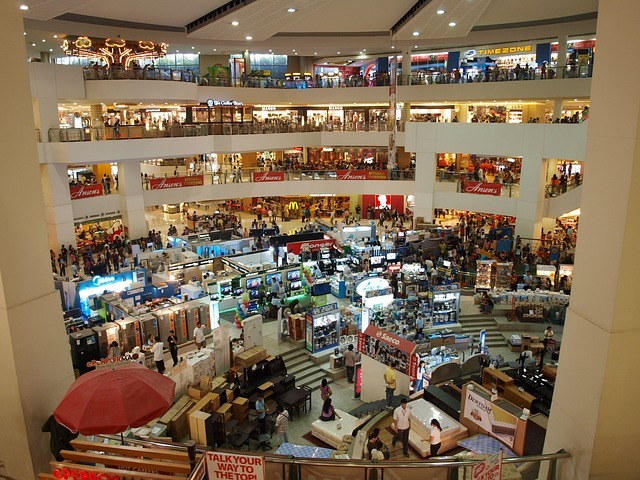 In light of Black Friday’s “festivities,” Guy Debord’s Society of Spectacle shone out to me as a great way to explain it. It’s not really a phenomenon, but an obsession in a society that perhaps values the commodity more than other areas. This personal essay explores the parallels I have seen between Black Friday and Guy Debord’s writing. All citations are from Guy Debord in his work La Société du spectacle (Paris: Buchet-Chastel, 1967). Translated by Donald Nicholson-Smith (New York: Zone Books, 1994). 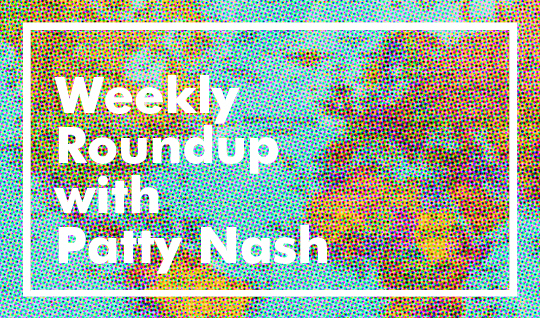 Weekly News Roundup, 12th June 2015: What’s Pure Prose & Poetry? Big congratulations to the new poet laureate of the United States, Juan Felipe Herrera! Herrera attended the University of Iowa and his current gig is a direct update from his last one (he spent the past two years as poet laureate of the state of California, where he’s from).